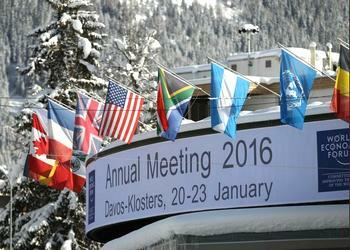 DAVOS-KLOSTERS, Switzerland, January 21, 2016 (ENS) – Climate change, food waste, sustainable business development, the future of Europe – the World Economic Forum is exploring a wide range of issues at its 2016 annual meeting that opened January 20 under the theme Mastering the Fourth Industrial Revolution. 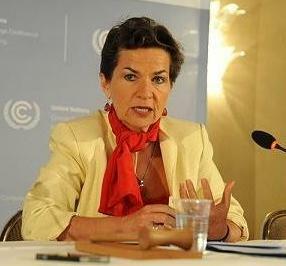 The United Nations’ top climate official Christiana Figueres told the Forum today that the Paris Climate Agreement reached by 195 nations in December is the “easy part” and the more difficult work of implementing the deal to reduce greenhouse gas emissions and limit global warming must now begin. Addressing ministers, business leaders and civil society groups, the executive secretary of the UN Framework Convention on Climate Change, UNFCCC, said it is now crucial to move from words to action. She called on fossil fuel companies to focus their resources on developing renewable energy and urged oil, gas and coal executives to consider sustainability and environmental protection over assets. Figueres warned that the Earth’s fossil fuel reserves far exceed the carbon budget limits needed to avoid a dangerous average global temperature increase of 2 degrees Celsius. She also called on all citizens to become more conscientious in their daily choices in order to reduce emissions. 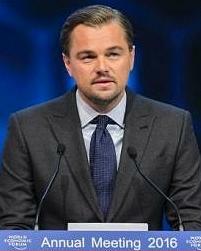 Hollywood actor and film producer Leonardo DiCaprio used his speech at the Forum today to attack the world’s biggest oil and gas companies for being greedy and contributing to climate change. “Those entities with a financial interest in preserving this destructive system have denied, and even covered up the evidence of our changing climate,” the actor said. The actor then pledged $15 million in new grants through his Leonardo DiCaprio Foundation to support environmental protection projects. A new initiative launching today in Davos called Champions 12.3 (www.champions123.org) is a coalition of 30 CEOs, government ministers, foundation executives, and civil society leaders who aim to cut food waste by half and reduce food loss by 2030, in line with the United Nations’ Sustainable Development Goal Target 12.3. Inspired by the No More Food to Waste conference at The Hague in June of 2015, the Dutch Government formally called for the coalition’s formation in September 2015, and is providing secretariat support for Champions 12.3, along with the Washington, DC-based World Resources Institute. “Worldwide, food loss and waste impedes food security and fuels climate change. For advancing the agreed 2030 Agenda for Sustainable Development this issue must be tackled today,” said Dr. Hans Hoogeveen, vice-minister for agriculture, the Netherlands. “Food that is ultimately lost or wasted consumes about a quarter of all water used by agriculture, requires cropland area the size of China, and is responsible for an estimated eight percent of global greenhouse gas emissions,” said Hoogeveen. “Through their leadership the Champions 12.3 will be able to connect these challenges, by forming smart alliances, bringing together leaders from private sector, local communities, famers, science and government,” he said. Dave Lewis, who heads the British multinational grocery and general merchandise retailer Tesco, chairs Champions 12.3. Other participants include U.S. Agriculture Secretary Tom Vilsack, U.S. EPA Administrator Gina McCarthy, former White House chef Sam Kass, Rockefeller Foundation President Judith Rodin, Nestlé CEO Paul Bulcke, WWF International President Yolanda Kakabadse, Oxfam America President Raymond Offenheiser, and World Resources Institute President Andrew Steer. In another effort launched in Davos today, a new commission will work over the next year to articulate and quantify the compelling economic case for businesses to engage in achieving the Sustainable Development Goals. Created by the former United Nations Deputy Secretary General Mark Malloch-Brown and Unilever CEO Paul Polman, The Global Commission on Business and Sustainable Development brings together international leaders from business, labor, financial institutions and civil society. They will present a comprehensive report in one year, outlining new business and financial models, as well as market opportunities for companies who are invested in sustainable approaches. The Commission will conduct foundational research, and engage in fact-finding dialogue with a cross-section of stakeholders. The initiative aims to explore current and future disruptive business models, understand what they mean for sustainable development, and map out new financing mechanisms the world will need to reach the 17 Sustainable Development Goals approved unanimously by the UN General Assembly last fall. The Commission will investigate changes in core business operations and behaviors that go beyond traditional corporate social responsibility and voluntary partnerships. The Commission receives funding from the Rockefeller Foundation, the Bill and Melinda Gates Foundation, and the governments of Australia, Denmark, the Netherlands, Sweden and the United Kingdom. The solution to Europe’s challenges? 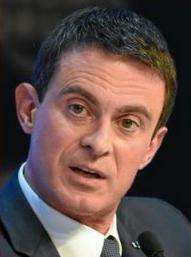 More Europe, said Prime Minister of France Manuel Valls, whose remarks in Davos contained a plea for solidarity. Cameron outlined four priorities for reform: competitiveness, flexibility on membership of the euro, sovereignty, and control over migration and welfare – while making it clear that he opposed ever-closer political union.